Okay, so we all know that in theory we should limit screen time, increase our interaction with our children – blah, blah, blah… I always believed that this was a pipe dream. This was until we embraced board games (I know hello, 1983 ). But before you switch off and imagine this is another rant about hands on parenting, I’d love you to know that our battle with screens has been going on for years (you can read some of my other posts) and I can say that quite honestly NOTHING has worked for more than a few weeks. Limiting time, limiting days, using screens as a reward, refusing them as a punishment. Nothing worked; yet old skool board games are now in the running. How we play, why we play & what we play. As a family we have always tried to embrace board games and the simple truth is, sitting down with the kids to play a board game sounds kinda tiresome but in actual fact is really rewarding. So, we basically have an entire games department in our cupboard so on any particular day we can choose from a number of games – this keeps everyone interested and ensures we are always playing a game that is age appropriate regardless of who joins in. Just a tip but “Tummy Ache” is the absolute best 1st game ever! It is a game of chance which ensures your child occasionally looses without you “throwing the game”, it teaches turn taking, waiting and can help fussy eaters – any age can play but definitely once they are 2+! Hubby and I play board games with the kids to teach, to learn but mostly to spend time with them. But the secret key is that we find out – especially for Miss E our sweetheart 2nd child – where she’s at with reading, numbers, cognition, all the things we are all over with child number 1 but start to miss in our subsequent children (sorry child number 2). As it turns out she is a true strategist and underestimate the 5 year old at your peril, especially when she’s playing a 10yr+ game (LOOT is a favourite at the moment) she will board your pirate ships & plunder your bounty all with a smile on her sweet lil face. As with any typical household we have – Snakes and Ladders, Monopoly, Game of Life etc, etc but we’ve discovered the card based, slightly less popular games have proven the most successful. In our store we have started stocking a range of these sorts of games and we play ALL of them, choosing which ones are awesome (Sushi Go) and which ones are not so (Monster Cafe). Games are like books you always feel good when you give or receive them and if you’d like to pick our brains as to age suitability, gender etc drop in, check out our range online or chat to us on facebook as we’d love top help you pick one of our favourites. We love playing them & I’m sure you’re kids (and hubby’s!) will love playing them just as much as we do. Putting our children into their own room can be daunting & here in Australia we are lucky that we have the ACCC who have mandatory standards for many everyday items. Such as Cots, Portable Cots, Bunk Beds, Treadmills, Soccer Goals – the full list can be seen on the ACCC website. But there are things to think about which may not be a “Mandatory Standard”. We would love for you to take the time to read through this list & if you are putting your child into their first room, or perhaps you already have, just take the time to make sure your room is a safe environment. Secure Tallboys, Bookcases and any item of furniture over 50cm from the ground to a wall. Securing heavy furniture items to a wall will prevent injury from falling or toppling, which can occur if a child climbs or pulls out all of the drawers. Small children have died or suffered serious injuries from unstable furniture. Small children can be trapped under furniture; unable to breathe or be hit/struck by falling furniture. You can prevent death or injury to small children when choosing and securing furniture in your home. 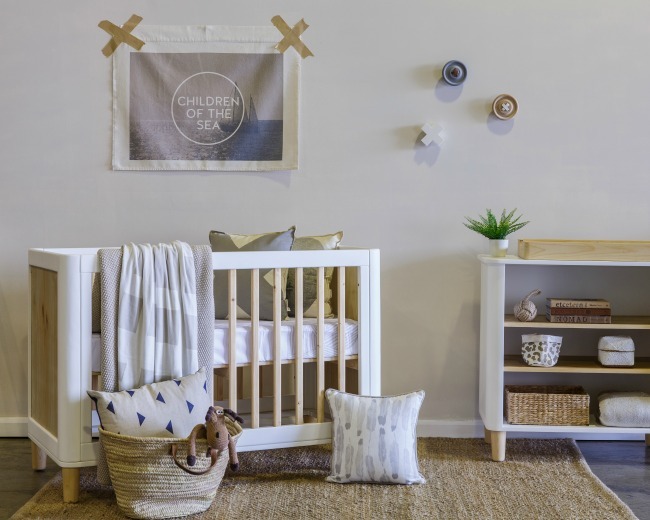 There are simple ways to prevent death or serious injury to small children when choosing and securing furniture in your home by anchoring furniture. Test the furniture in the shop—make sure it is stable. For example, pull out the top drawers of a chest of drawers and apply a little pressure to see how stable it is; make sure the drawers do not fall out easily. We suggest using a product like Dream Baby Wall Straps but please seek professional advice from a Master Builder regarding your type of wall & the correct mounting. When thinking about a bunk bed, we ensure that the product meets all Australian Standards but there are several things which may influence your decision, based on each individual child & room. These are not necessarily nice things to think about, but a little time & care will ensure a safe space for your child. Introducing the Rocky Cot to Adelaide! powerful and delicate in classic white! as it adapts to the growth and needs of the active child. 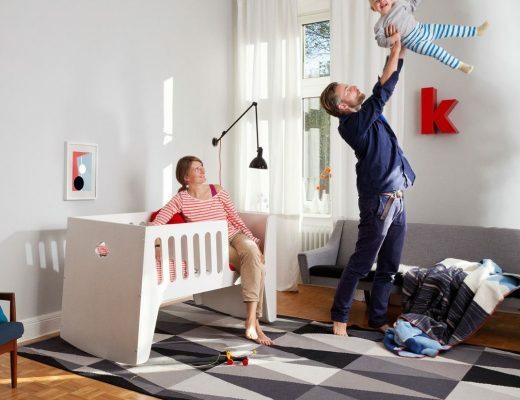 At first it is both, a cradle for baby and a rocking-chair for parents, combined into one. 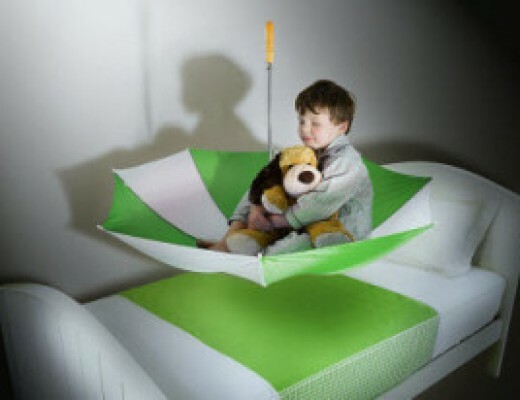 As the child grows the cradle can be rotated 180° and turns into a children‘s bed with a length of 140 cm. You can use the bedrail as a boundary for greater safety. Rocky grows and changes with your child. And it does so without the need to store many extra/spare parts. As Rocky will be a part of your child’s life for the next 7 years, your investment can be split over this time period. Therefore Rocky makes a lot of sense economically as well as ecologically. will purchase far less goods all together. At the same time, this is an indirect way to reduce the amount of produced waste. Rocky convinces with simplicity and its clean and smart design. The baby cradle (stage one of your use of your Rocky bed), allows the parents to sit with their baby. as well holding the potential to be very helpful in lulling your baby to sleep. Furthermore, Rocky offers comfortable seating for the mother who can thoroughly and comfortably enjoy breastfeeding her baby. This special bonding between the mother and her child is only improved by a balanced and relaxed atmosphere. Rocky does not only think about the child and its wellbeing but also the parent’s. putting the child into bed and/or picking it up is much easier and therefore protects the carer’s back from sciatic pain syndrome and other related injuries. What has it got that others do not? 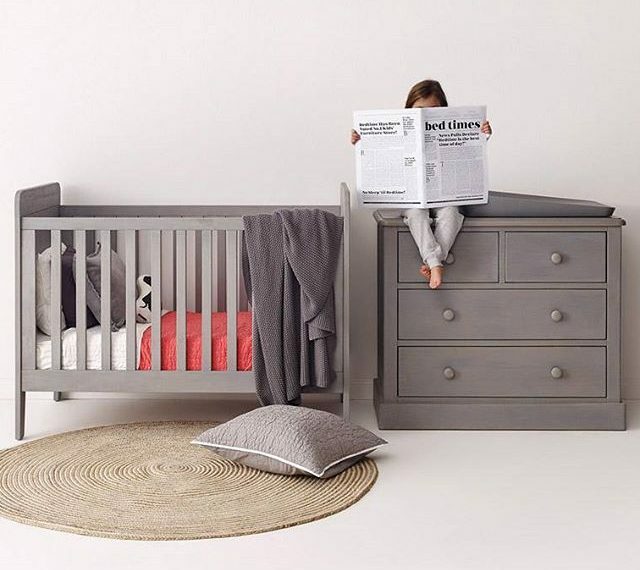 Rocky grows and changes with your child and it does so without the need to store many extra/spare parts. As Rocky will be a part of your child’s life for the next 5-6 years, your investment can be split over this time period. Therefore Rocky makes a lot of sense economically as well as eco-logically. At the same time, this is an indirect way to reduce the amount of produced waste. Rocky is also easy to assemble. As a Mum, “Mum to Be” or “Future Mum to Be” you may be thinking of a Scandi inspired nursery, bed or playroom. This stunning look is not only popular right now it is also practical and easy to achieve. As a Mum, Scandi lover & veteran (well it feels like I’m a veteran as I started working in the field over 12 years ago!) in the kids & furniture industry I thought I share a couple of top articles & tips on Scandi Styling to help you get started. In the words of DecoPeques from Petit & Small, in their “Scandinavian Style” blog, “Scandinavian Style fills our Pintrest sites” but in order to carry off the look “simplicity and naturalness are the must”. 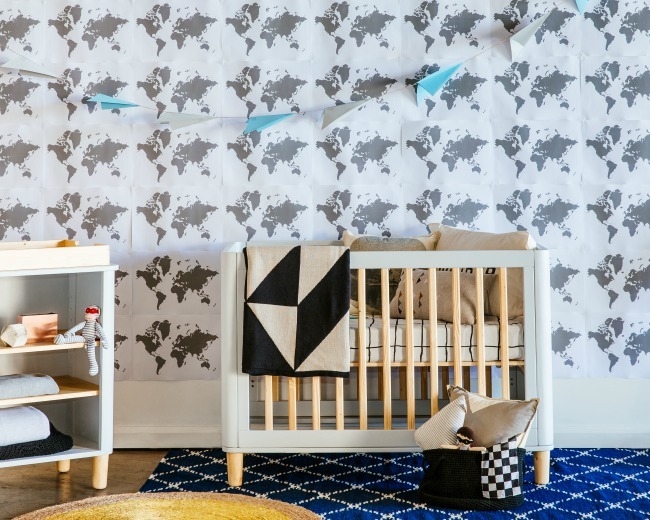 Think monochrome styling, with a touch of Superhero for a softer child’s feel, birch and white furniture, and soft faux furs & skins for texture. The perfect mix of geometric shapes and textured finishes will ensure your Scandi room is styled to perfection. To create this look think Oeuf and you’re on your way! Another take on the Scandi Style is brought to us by the ever talented, stunningly beautiful & perfectly styled Rebecca Judd. 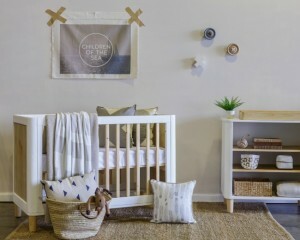 On her site Rebecca Judd Loves she reviews the latest range from the amazing team at Incy Interiors. The Teeny Range takes a traditional Scandi style & softens the edges, rounds the corners, introduces mute grey with birch, as well as the traditional white and the result is a modern Scandi Style, sure to suit even the purists among us! As noted in both articles there are style rules to follow in order to create your Scandi inspired room and, as I advise many of our customers these can be simplified into 3 simple rules; follow these and you can’t go wrong. Two Tone Reigns – Don’t be afraid to mix white with birch, grey or walnut finishes, a two tone piece adds interest and depth, but do ensure you stick to only one accent colour. Statement Piece – In a well styled Scandi room 1 or possibly 2 statement pieces of furniture is all that is required, do not over crowd your space. Keep It Simple – This look does not encourage lots of colour or frill, think monochrome or neutrals with perhaps a touch of pale pink or grey. So don’t be afraid, if you follow these simple steps your new Scandi inspired space could be just around the corner. If you would like more information, help in piecing together your dream space or simply need assistance in sourcing products; please feel free to reach out & contact me on Instagram @outofthecot – Facebook outofthecot or Twitter @outcot. Creating amazing kids spaces is what I love to do, so let me help you today! 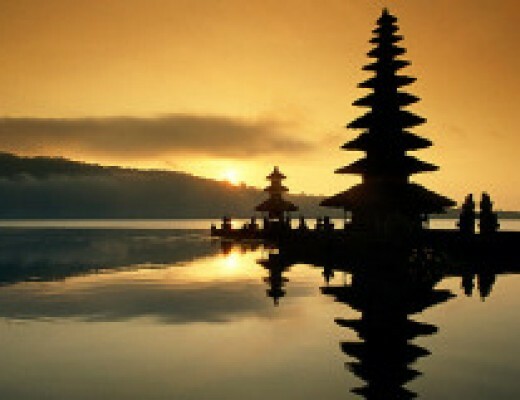 Bali, only 5 hours on a direct flight & we met the grandparents there, so all in all it was a blissfully easy experience. The Airport. Thank you Adelaide, as at least the airport is user friendly and the play area for the kids helped kill time, as Virgin Airways require that you check-in 3 hours prior to your flight. so we could go out & take a stroll around IKEA (this was my lovely husbands idea, which probably gives you a good idea of just how over the airport he was at this stage). The Flight. Second BIG hindsight moment and if you don’t read any further than this please take note of this next sentence. When travelling Virgin if you don’t download the Virgin Entertainment App prior to boarding you cannot access the inflight entertainment. And no they don’t advise or remind you that this is the case. Yes, we learnt this the hard way. Oh, & I would ensure you have earphones for all devices you plan to use on board. So there we were no entertainment, Master 5 devastated as he is a tech (dare I say nerd) head. But wait Mummy to the rescue. Ta-Da a Tiger Tribe Piccolo Colouring Set that I’d thrown in my bag thinking it was probably a waste. Both children Loved It. They spent hours colouring and we, sat back, read a book & felt like great parents as our children were being entertained “the old school” way. though the stewardess did look at us twice more than once) and lovely hosts made the journey, quick, effortless & enjoyable. Immigration as you would expect it – slow and rather hot, but at long as you are prepared for the 1-2hours it’s not too bad. Oh, & you need to have $25USD per person (children as well) in order to purchase your visa. remember by this stage the children have been waiting &/or on a plane for close to 10 hours and patience tends to run out by now. which took all the hassle out of looking & negotiating with 2 tired & grumpy children in tow (also it was now 10pm). The Holiday. Idyllic. Seminyak is a perfect destination for a family friendly holiday. simply lay by the pool in the privacy of (essentially) your own home. as it would take the concern of having Miss 4 fall into the pool significantly reduced. But we did bring Wahu Vests with us and they worked a treat. If you don’t use them & you’re concerned about your little ones and water these are a fantastic option. The Highlight. Brunch at the St Regis, Nusa Dua. I honestly believe you would be hard pressed to find a better buffet anywhere, I most certainly have never come across a buffet like this before. From Egg Nouvelle, to River Lobster Omelette, to Spanish Avruga Pearl Bilinis, with traditional Balinese fare & a full BBQ outside on the deck and a seemingly endless dessert table. This was 3 hours of culinary bliss! And, did I mention it included an hour of signature cocktails to start! All this for $55AUD per person, it was heaven. But, don’t eat breakfast because you want to be hungry when you arrive! Have I missed anything? Oh children, that’s right. Because, unless your child is a 1 in a million like our 10 year old nephew who would actually eat this incredible food, you probably want to have them leave you alone for these 4 hours. But don’t worry the amazing team at the St Regis have taken care of this as well. Included is Kids Club and this is no token room with a TV. It’s a fully equipped early learning centre, complete with music room, craft centre and dining room. Miss 4 and Master 5 had a great day and were able to spend the day with other children from all over this amazing planet of ours. So you may have picked up on the fact that we loved this particular day! If you wish to enjoy this, make sure you book well in advance as it books out very quickly and they will ask for copies of your passport and credit card to secure the booking. We were a little dubious about this but after attending we understand & it really is an amazing experience. I wasn’t sold on Bali as a holiday destination, but have subsequently done a 180 turn around. It was gentle, clean, welcoming, safe & only a 5 hour direct flight. Nocturnal enuresis, night-time accidents, wet sheets – bed-wetting… It’s something we as parents experience with our children at some stage or another. And whilst some children seem to simply “get it” others take a little longer. To make night-times easier & drier we have our top tips to dry nights. combined with being a parent to both a 6 & 3 year old has given us some insight into tips that hopefully will help with those little accidents. Mattress protectors are an absolute must. Modern day waterproof mattresses are guaranteed waterproof whilst also being both breathable, soft & “crinkle-free”. When purchasing any mattress, a good quality mattress protector is a good investment, it will help with all accidents and will help keep the room clean and fresh. essential in my books as a busy mum! Layering the bed is a concept which works really well. (& back up mattress protector) underneath – with Little Miss Three this has been my favourite item this year! perfectly normal to have an accident – I Want My Potty was a household favourite. Remember most children will learn to be dry in good time but using these simple tips will help make the process a lot less Wet! Good luck! Is Screen Time An Issue In Your Household? Soooo…. I always planned to be one of those parents who baked cookies, played dress-ups, cooked home-made playdough whilst creating Princess Castles out of empty toilet rolls. But, Master 6 had different ideas. He discovered Television & Computer Games! watching movies and most of all playing “real” computer games on Daddy’s computer. At 3, we thought it was cute, clever & oh so modern but now at 6, he is, dare I say obsessed? So I thought I’d share a couple of options we’ve tried & finally we think we’ve hit the nail on the head for our little “gamer”. Setting up a reward chart with time slots allocated, meant that every time he did a chore or good deed he earned a time slot. c) timeslots of 15 minutes are rendered useless when an episode can be anywhere from 5 to 25 minutes long, and a game even harder to monitor. The other issue we discovered, was we monitored computer gaming but didn’t place any time restraints on phone playing or television watching. Resulting in a continual jump from one screen to another. Option number 2 for us, was banning all computer games during the week. Again we thought we were oh so clever, wrong. Television was still be watched morning and night. Phones were being sneaked out of handbags and games were being played on them. 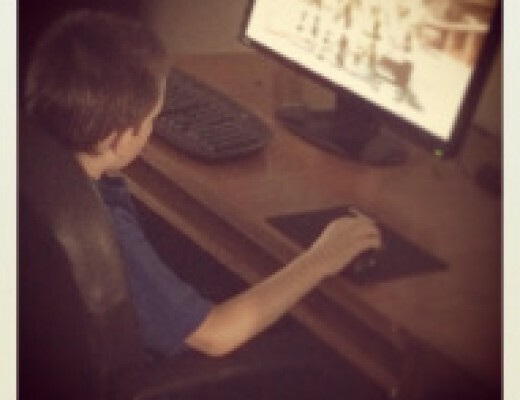 But worse than this, Master (then) 5 refused to play outside, have friends over or even leave the house on weekends as this was his “Game Time”. I hate to use the words Epic Fail but this really was. but it does lead us to option 3. Yes we have loosened the reigns a little and now allow computer games during the week but before you think 2 Hours, What??? Let me break it down for you, as now that he is 6 & more capable of understanding rules we have set pretty strict guidelines with this. Namely, that Screen Time relates to – Television shows, Movies, Smart phones, Computers, Laptop, WII, Playstation, DS – infact any & all technology which has a “screen”. Lego and Boardgames (we have recently rediscovered Mousetrap – I love this game). Master 6s behaviour has improved as he knows exactly how much time he has & he actually enjoys being in charge of his own options. of the endless quest for watching the Screen! 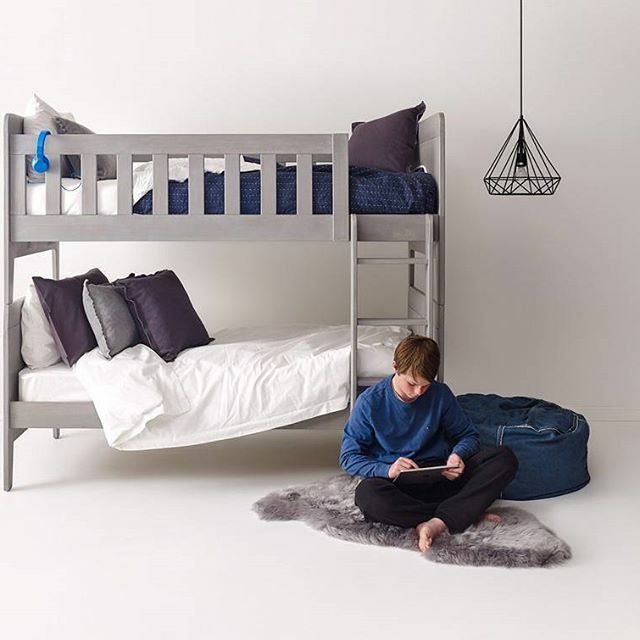 Tween & Teen Boys Rooms! Many of you with 10-15 year old boys would know that on one hand they absolutely do not want anything babyish, such as construction, cars, trains or animals, yet they are not yet old enough to really want a simple designer style. 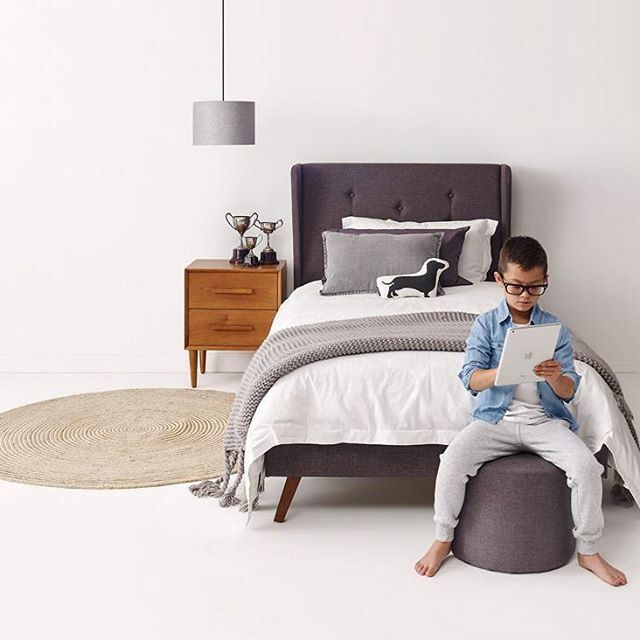 Well, luckily we have a number of fantastic options to work with which can create a stylish, grown up space which still feels like a child’s room. 4) Allow them to keep their favorite, toy, stuffed animal, blanket, picture – they are still kids! & yes this colour combination can absolutely see Boys through their teenage years as long as the feel of the room is grown up enough. Think Lakeland’s Vintage Navy Set, but if you’ve had a younger feel room & you feel its time to update, adding black is a perfect option. By adding black you start to move the room into the deeper, richer colour palates, whilst still allowing you to utilize many existing items. Sk8 cushion is thrown on, it is the perfect look for a Teen room. To finish the update why not add the amazing World Map in Black by The Wallsticker Company & voila an update with very little expense! Truck & Plane canvases you have up on the wall & replace with gorgeous acrylic cutouts in a complimenting colour, of your child’s favourite sport. Contact us at OOTC for lots of options of check out the concept here, at the moment Soccer is high on the must have list! 3) As I mentioned earlier don’t be afraid to let go of the Red, White & Navy. & just quietly we love Lilly & Lolly and Aura‘s new offerings! giving Teddy an amazing new Orange superhero cape! but I am quite handy with a screwdriver, drill & hot glue gun & even I can find ways to update existing pieces around our home. They say that Boys, Men & Cats don’t cope well with change but with a little gentle coaxing an updated look may be just around the corner – Happy Styling! This is a sentiment we regularly hear as we sell a lot of stunning custom upholstery. 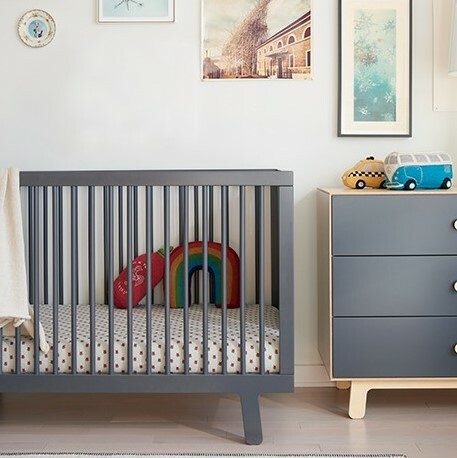 But, with modern designs, amazing new fabrics, the move towards streamlined, uncluttered children’s rooms, upholstery is definitely an option. as everything can be tailored to suit, height, width, shape, leg style but most importantly Fabric. We use a selection of Warwick, Profile and the “Fantabuolous fabrics of Roald Dahl” to create unique items which can suit any style room. But. Knowing that an item looks great is one thing, realistically how practical is it? Now that’s another kettle of fish altogether. particularly your child’s bedroom will become chipped, stained, marked or I like to think Loved, over time. This said, modern fabrics which are designed for heavy domestic and commercial use are resilient, woven to be stain resistant and easily cleaned. Hot Tip – cheap baby wipes and then if this doesn’t work, methylated spirits on a dry white cloth can usually remove 95% off all stains from fabric. and is a design which will grow with your child as upholstery is an investment. Are Your Kids Fussy Eaters Too? So, my husband was a Chef before we opened Out of the Cot and I have always loved Food, the more interesting, the better. We both grew up with lots of healthy different options, when it came to breakfast, lunch & dinner and yet…. We have 2 of the Fussiest Eaters I have ever met. so we have to make 2 meals & then struggle to get them to eat it, no matter what we put in front of them. Master 6 “The Healthy Fussy”, Caleb is our eldest child & I blame him for us having this issue, as he is what I call Healthy Fussy. From a very young age he loved vegetables, sushi, fruit, nuts and berries. This was incredibly deceiving, as he always chose healthy options we didn’t vary his diet, he lived on broccoli, chicken (often in nugget form), sausages & other assorted veggies. But by not offering lots of variety, he became unwilling to try new things & then just when we should have been encouraging new flavours, along came Miss Evie-Mae. meant we let Caleb continue to eat what he wanted as it made our lives easier. Introducing the “Starchy Fussy” Miss 3 is what I refer to as a carb addict! Potato, chips, crackers, toast, crumpets in-fact if its stodgy she’s bound to want it. Now up until recently we have kind of let the unhealthy, unbalanced way the children eat, slide; but it’s reached the point where he have to do something about it. It’s bad enough that Caleb’s diet is limited, but it’s really not good that Evie-Mae’s is high in calories and very low in nutrients. Yes, we know what is required for a balanced diet but how do you get a 3 & 6 year old to change their eating patterns? Well, my incredibly clever husband (yes I can give credit when credits due) came up with an idea & so far, so good. Daddy thought, why not find a Kids Cookbook and let them choose meals they want to eat. Great! Well, sort of. We looked for a couple of weeks in every book shop, newsagent and department store for a kids cookbook but no luck. Every book we found was either cupcake & biscuit recipes, for cooking with your child, or breakfast, snack, lunch & dinner, which meant we only had a handful of actual meals for the kids to choose from. 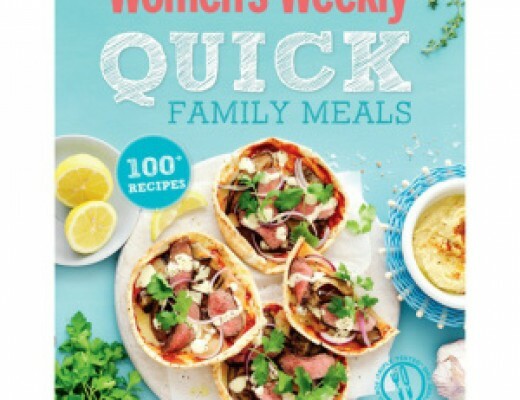 We were almost at the point of putting together a book ourselves, when Ta-Da “The Women’s Weekly – Quick Family Meals” appeared on a shelf of a local news agency. Now, whilst not exactly a Kids Cookbook it has over 100 simple, tasty & quick recipes which each has a lovely big colour photo – this was what we were looking for. We have kept the plan very simple. Each weekend both children get to choose 2 meals each from the book. We mark the pages & then cook the meals over the next 7 days. Both children have to eat what the other child has chosen & it’s fine if they don’t like it but they have to eat it this time & then we won’t cook that one again for at least 6 months. we have children who have eaten Grilled Asian Vegies (a big hit) Chorizo Stew (not such a hit) & Chicken, Almond & Veg Stirfry (a new family fav). We now have children who greedily devour the kid staples, sausages with veggies or chicken, fish fingers etc, instead of complaining about every single meals we put down. And whilst they are not yet ready to jump in & eat everything at least they are wholeheartedly eating some things…Things are looking up!